My charater's name is "Tekvo"
2. What time zone are you located in? I'm located in (GMT) London. 4. Have you played Retail and if so, for how long? I've played Retail World of Warcraft since, patch 3.0.1. 5. How long have you played on ZwowZ? 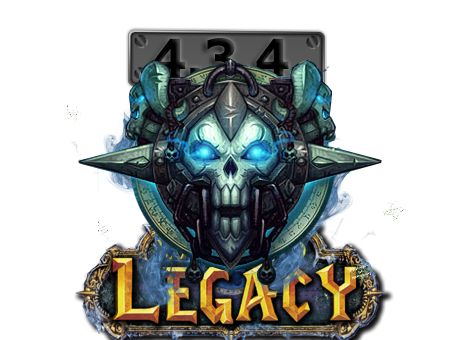 I've played ZwowZ / LegacyWoW Since, 4.x.x. 7. Have you ever been banned for any reason? I've never been banned on ZwowZ/LegacyWoW Or any other server for that matter. 8. How much time each day do you spend on WoW, on the forums or in-game? I spen 3 hours on forums, and 4-8 hours in-game. 9. Do you have Skype? Yes I've got, "Anguskhan" on skype I'm also (Gamemaster)Cleaveland's girlfriend. 10. Have you had previous experience as a Game Master? 11. Tell us a little about yourself. I'm a girl from Scotland, I've played World of Warcraft(WoW) for, 5 years I love music and I play vollyball. 12. Explain why you think you would be a good ZwowZ GM. 13. What interests you most about the GM position? player's in-game, and I feel this is a great position for me. (Gamemaster) queue's because this can be frustraiting. So I am always on the ball. 15. We require all GM's to act professional at all times, this includes proper spelling and grammar. If this would be a problem for you, please explain why? This is not a problem with me, I belive casuall spelling and grammer should be applyed in-game anyway. 16. What languages are you fluent in? I can speak some Spanish and french I'm currently learning German my main language is, English. I don't have any problems with the way ZwowZ/LegacyWoW Run there server, so I've not got an answer for this. never sorted their issue, I would remove them from the Event, I would first try and help them sort the issue. I think the most important thing a (Gamemaster) can do is help player's with their issue's. 20. What is the most important rule a GM should follow? I think it should be, stick to all rule's and do your job. pffft get on the right (new) forums you scrub!